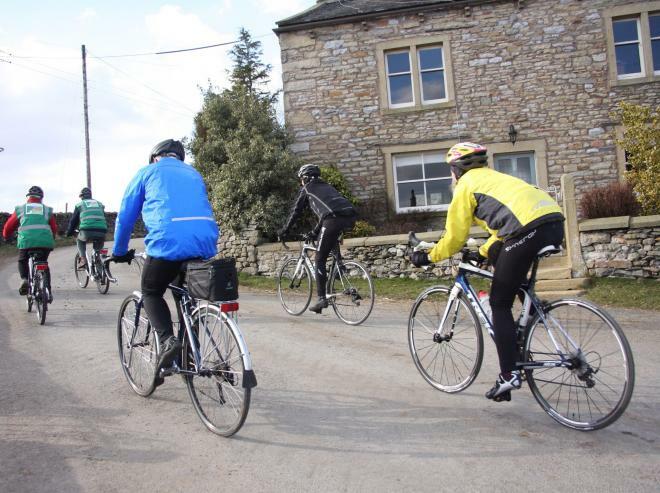 Bowland’s hills provide some of the best bike-riding in the country – but demand top equipment and fitness to climb them. An Electric Bicycle is the answer. 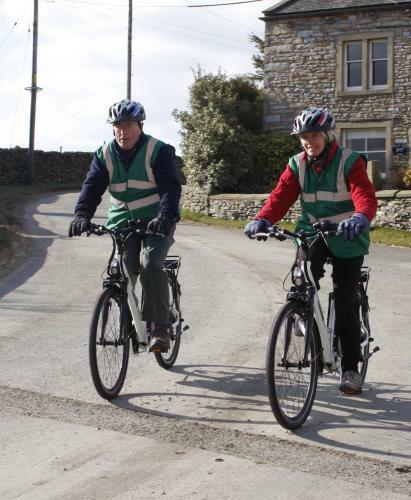 These have a motor to supplement your own energy to help you reach the peaks, leaving you to pedal within your own ability and enjoy the fresh air. The battery will get you to one of our re-charge points to top up for the ride home. 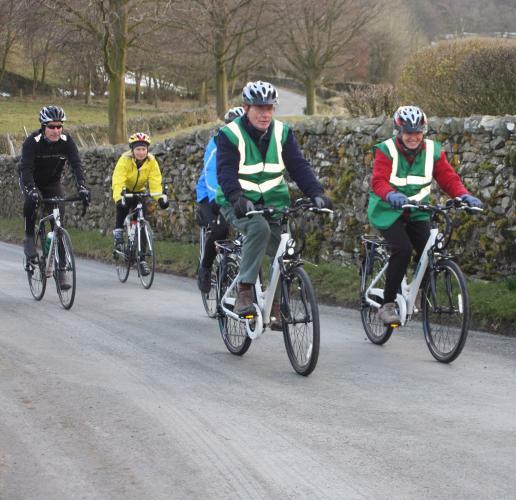 NOTE: Currently only 2 bikes are available to hire from Dalesbridge Centre, Austwick and 2 are available at Clerk Laithe B&B, Newton. Follow this link for a map showing these hire points and also eateries across the AONB where you can charge your bike. The Hirer acknowledges that taking part in this activity involves certain inherent risks that might result in injury or loss to you, your party or others, including but not limited to: inclement weather, rough conditions, navigational difficulties, collisions, hypothermia, illness and accidents in remote places. In the interests of safety the Hire-points will only supply bicycles to those Hirers who take part in an initial bicycle briefing at the time they receive the bicycles and equipment. If for any reason the Hire-point not satisfied that a client is a competent cyclist, it reserves the right not to provide them with a bicycle or equipment. The Hirer accepts sole responsibility for his/her own safety and the safety of others in the party. The Hirer is responsible for the care and safekeeping of the bicycle and ancillary equipment which remain the property of the Hire-point at all times. The minimum age for riding an Electric Bicycle is 14. Riders aged under 16 will require agreement of a parent or guardian. The electric motor will cut out above15 m.p.h. Helmets & High Visibility Vests are not compulsory on Britain's roads but they are supplied free of charge and it is recommended that they are worn. The Hire-point cannot be held responsible for any damage or injuries incurred as a result of Hirers not wearing a helmet or high visibility vest. report any problems or damage to the hire-point. ensure that the bicycle is securely locked, with the bicycle lock provided, to an immovable object (in a safe location) when left unattended. ride through sand or deep water (e.g. fords) because this can damage the motor. The Electric Bicycles have a range of about 25 miles, but this will depend on the terrain (going up hills uses more battery power!) and the weight of the rider and any load in the panniers. The map provided shows places (cafes, teashops, pubs, etc) which allow their customers to re-charge the bicycle battery without cost. Please Note: the re-charge points just give access to a plug socket, you will need to bring your own charger and lead. Suggested routes (all on public roads) are provided by the Hire-points to connect with these re-charge points. The weather in Bowland can be as variable as anywhere else in Britain. You could find yourself cycling in glorious sunshine, worrying about the suntan cream, or caught in a heavy downpour. Whatever the forecast says, it's worth packing a lightweight waterproof just in case. Sensible clothing and shoes are a must if you want to be comfortable, as well as gloves and glasses to keep the dust out of your eyes. The Hirer may be asked to produce photographic proof of identity (e.g. driving licence, passport) and up to £500 deposit or security per bike hired at the time of hiring. Any deposit taken when hiring the bicycle is returned or refunded on return of the Bicycle on time and undamaged. Please check your Bicycle for damage and scratches before you leave the Hire-point and ask them to note any pre-existing damage on this agreement. The Hire-point reserves the right to retain all or part of the deposit should a bicycle be returned in a damaged or unreasonable condition. This does not apply in case of a fault with the bicycle which is considered to be the result of fair wear and tear. By signing this agreement you consent to the Hire-point charging the cost of any such loss or damage to your credit or debit card. The Hire-point will accept no responsibility or liability for any personal injury or loss caused while riding during the hire period. It is fully understood that you are responsible for any eventuality that may occur including theft of, or damage to, the equipment, and/or accidents caused by yourself or any third party during the hire period. The Hirer accepts liability for any prosecution or claim arising from your actions during the period of hire. The Hirer agrees to indemnify the Hire-point for any loss or damage arising from any act or default on his/her part, or on the part of any member of his/her party.